New Orleans Ok, I’m entitled. It was front page news for days after the game, and now it’s even front-page news in the New York Times. The sports channels are boiling with the reports. Has Trump tweeted about it yet? I hope not! 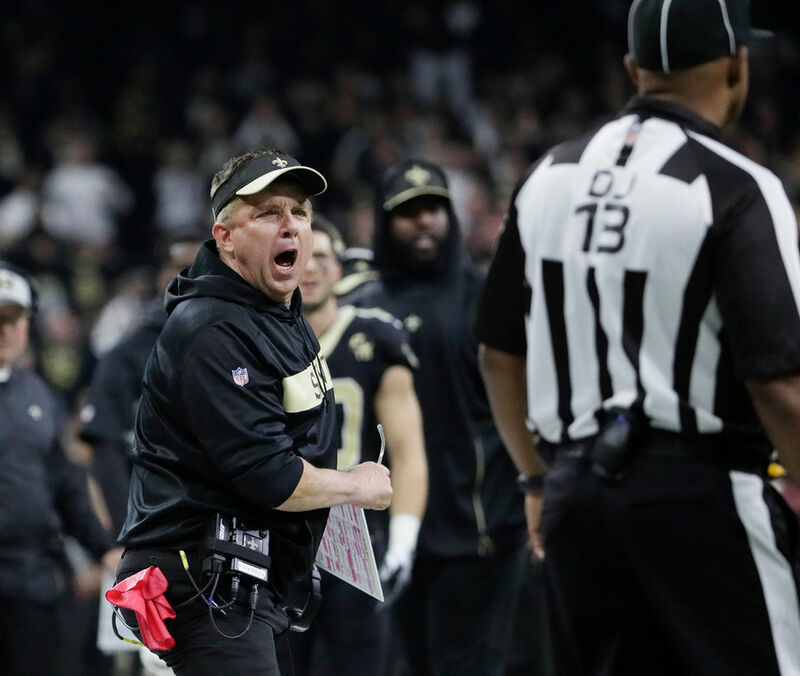 Of course, I’m talking about the no-call on both pass interference and helmet-to-helmet contact in the last 1 minute and 40 seconds of the NFC Championship game between the New Orleans Saints and the Los Angeles Rams. I saw it all on television, so I know as much as anyone, and way more than the referees. I got in a little trouble with my companera, because I repeated the old saw hardwired into me from years of playing football as a kid up through the high school team that our Saints had lots of chances to win, and it shouldn’t have come down to whether or not a bumbling ref made the right call. As my coaches used to tell me, all of that is true until it isn’t. I saw Saints Coach Sean Peyton going ballistic on the sidelines right after the play and over and over again. There were fifty cameras or more on the field, so sure, all of us from the fans in the Superdome watching the jumbo-tron to all of us at home watching on TV knew this was a penalty. The Rams defensive back knew it was a penalty and has said so publicly. The Saints receiver knew it was a foul. Both of them were looking at the ref, and nothing happened. Within two minutes there’s an automatic review by the refs of touchdowns and other plays, but blatant situations like this, nada. Gayle Benson, the owner of the team since her husband, Tom Benson, passed away earlier this year, wrote the NFL saying that this kind of incident attacked the “integrity of the game.” Given the mealy-mouthed, lame way that Roger Goodell has handled his duties as NFL commissioner from players’ protest to player injuries, it was impossible to expect that he would act within his powers to get fairness for the players and fans. One sportscaster made an excellent point arguing that if the owner screaming had been Dallas’ Jerry Jones or the Patriots’ Robert Kraft much less the much-hated former Oakland Raiders owner, Goodell and other owners would not be able to ignore this thievery. He didn’t say what seems obvious to me, that a new, female owner would likely be tut-tutted and patted on the hand rather than given justice. We’ll still root for the Saints. It’s hard not to root for the Rams over the Patriots, geez enough already! But it is also hard to still believe that the NFL and the football played on its fields is about sport, fairness, and even integrity, if they won’t admit mistakes and police their refs as much as their players, rather than simply lining the pocket of their billionaire and millionaire owners. This has to stop, or we can just watch them kill the game.